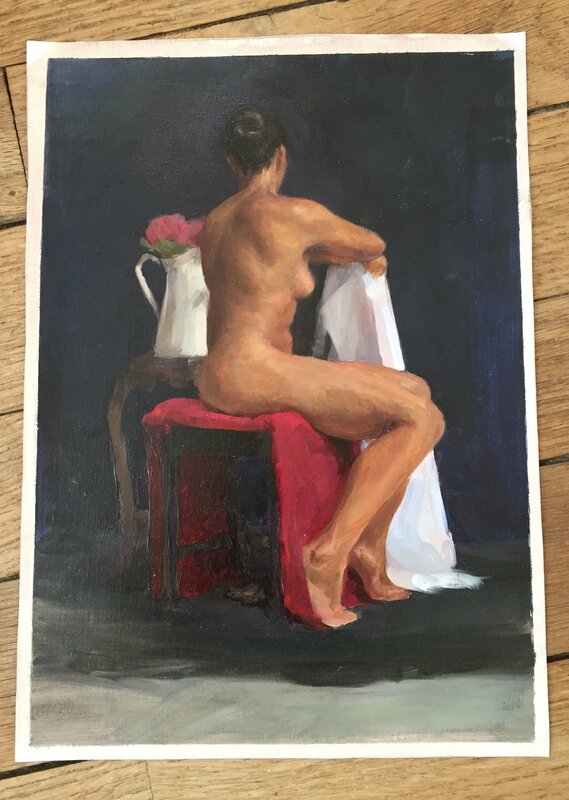 My first two week figure study at Studio Escalier this Fall. A beautiful back view or our graceful model, Ashely. Our second 2-week pose. Poster study to finished painting. Powerful pose and setting. Our final 2-week pose. Poster study, beautiful demo by Tim Stotz with near leg, unfinished progress.